..on a Janet Bolton workshop. 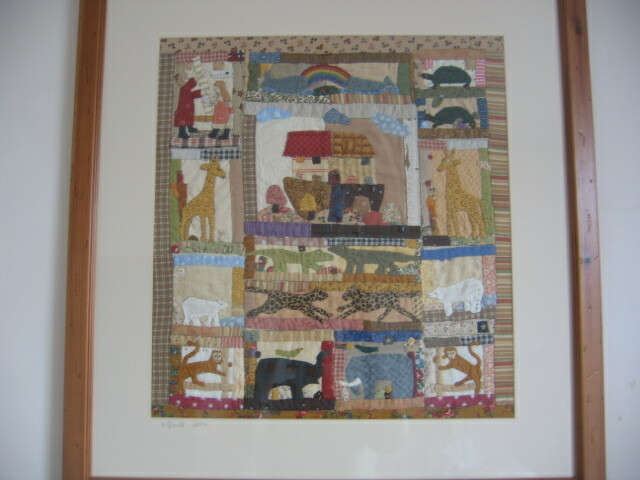 I am really looking forward to it, She is a textile artist whose work I really admire. 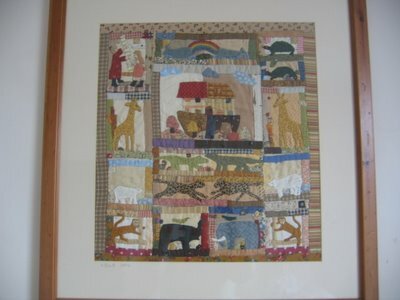 She has written several books such as 'Mrs Noahs Patchwork Quilt' which comes with a pattern to make a quilt, here is mine. I finished this applique quilt about 2 years ago, I am now making another one in the same series, but I haven't done any work on it recently, another UFO! Partly the reason is that I started a square with some black Kaffe Fassett fabric, and it is half done, but I have lost the rest of the piece of fabric. In true scrap fashion I guess I should just use a different fabric rather than searching for some the same. Lovely! I need to sew a bit more. Add it to my list of need to-do's! Your quilt is gorgeous! What are the dimensions?